SSDs this year have been dominated by Indilinx and its ARM processor following stuttering issues with JMicron's first generation of drives. 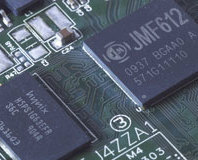 Now JMicron is back with its new 612 drive controller. We find out if it's got what it takes to dethrone Indilinx.